Basalte is the number one KNX manufacturer in Europe. KNX is a European control standard and is on the rise throughout Asia. Basalte also happens to manufacture the world’s most beautiful iPad wall docks, but one might wonder why an American company would partner with a European company. Basalte Wall Switch. Clean and Simple. The short answer is that Fulkra has its eyes on the far horizon. The long answer is thatFulkra was called upon by a client tospecify Basalte switches in a project. With a mandate, we set out to learn more about Basalte and KNX. 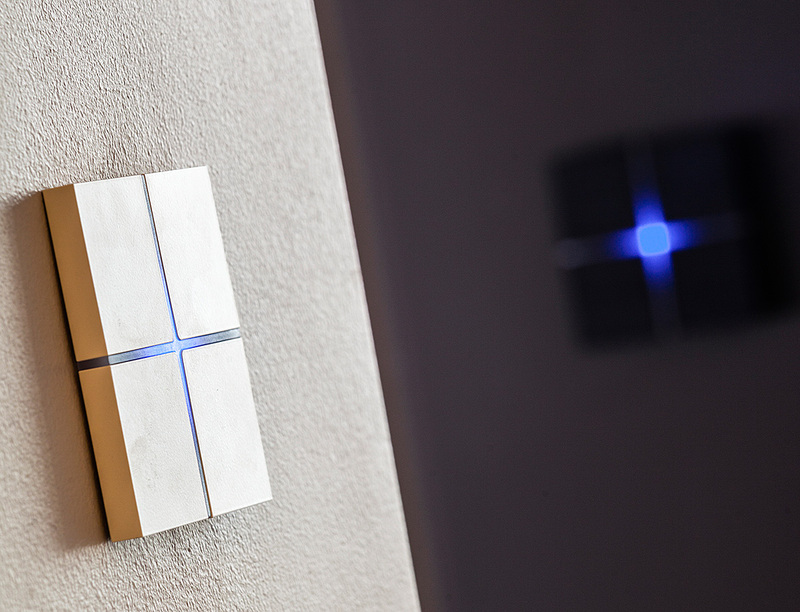 Despite the lack of KNX support in the United States, Fulkra found a way to integrate Basalte switches into the mega-million-dollar modern manse in Beverly Hills. We didn’t stop there. We have developed a personal relationship with Basalte and its founder, Klaas Arnout. Klaas personally flew out to check-in on the Beverly Hills project, and Fulkra system designer, Martin Seelos, flew out to Belgium to tour Basalte’s facility and learn more about KNX. 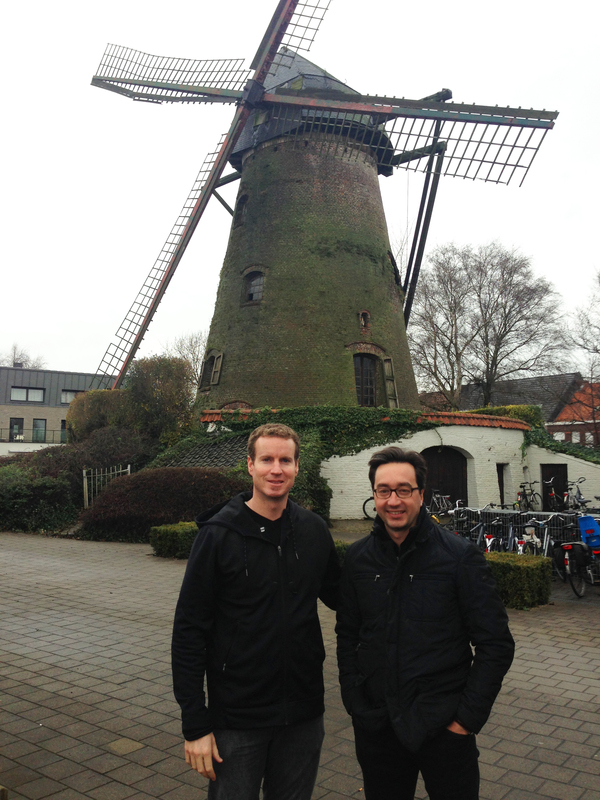 Martin Seelos and Klaas Arnout, founder of Basalte. Basalte represents elegant solutions to common technology integration problems, and we want to know what potential KNX has in the US market. It remains to be seen how KNX will make its mark on the North American continent, but we are excited to see what is coming from Basalte. Fulkra looks far and wide to find simple and elegant solutions to our clients’ technology integration challenges. We don’t simply accept what solutions are obvious and easy. Our greatest asset is our knowledge. We have a passion for delivering the very best technology solutions available in whatever market, in whatever far corner of the globe we find it. We partner with innovative companies all around the globe to give our clients reach in a global marketplace. 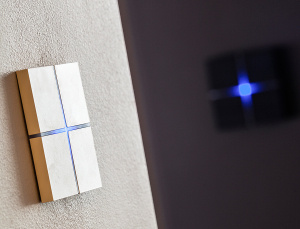 If KNX never comes to America, Basalte still makes the very best iPad docks in any market, and if KNX ever does come to America, we will be ready for it. We have our first successful Basalte integration project under our belt and our eyes on the horizon. If you are curious about what other innovative technology solutions Fulkra has in its global reach and what is right for you, give us a call today.